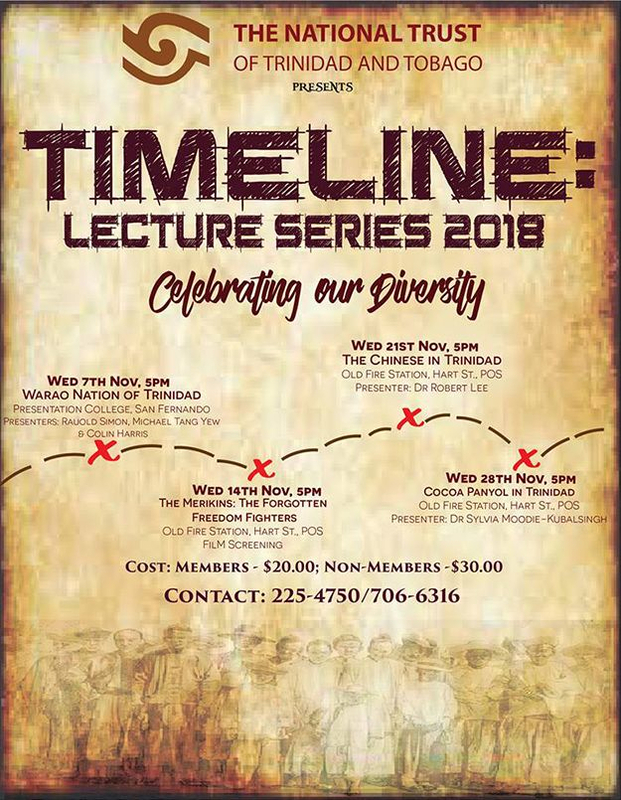 Timeline Lecture Series is back again! This year the theme is: Celebrating our Diversity. 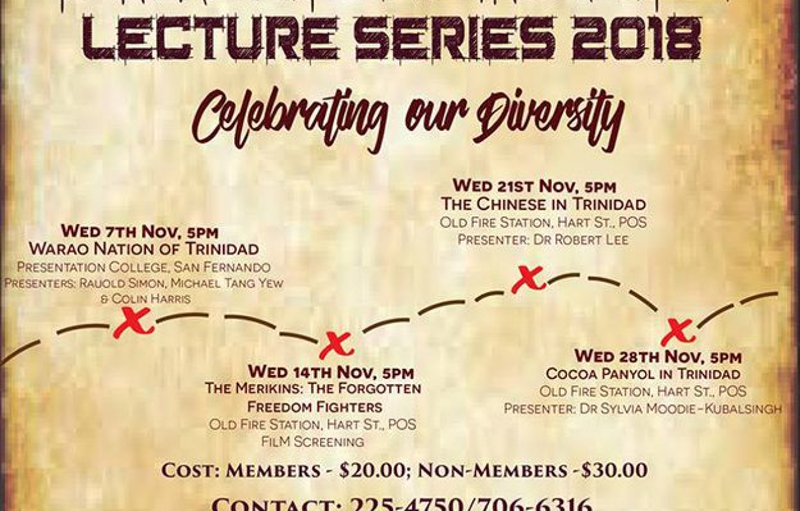 Join us every Wednesday in the month of November as we focus on the various people of Trinidad and Tobago. Cost: $20.00 per member and $30.00 per non-member.